PHENIX CITY, AL (March 16, 2013)—Jonathan Davenport of Blairsville, GA led all 40 laps en route to his seventh career Southern All Stars Dirt Racing Series-sanctioned 28th Annual Jimmy Thomas Memorial event during the series’ first visit to the East Alabama Motor Speedway in Phenix City, AL since 1984 on Saturday March 16th. Davenport, who picked up $4,000 for the win, came to victory lane while driving the AES Racing Barry Wright Race Cars which is sponsored by Encompass Solutions, Mega Plumbing, Mega Electric, Ohlins Shocks and Hoosier Racing Tire sponsored # 49 mount. Completing the top-five was former SAS Champion Clint Smith of Senoia, GA who marched from 15th spot to finish second, Jake Knowles of Tyrone, GA who started fifth finished third, Hunter Peacock of Macon, GA finished fourth after starting in the 11th spot and Riley Hickman of Chattanooga, TN was the show of the night as he took a provisional starting spot and rallied from his 23rd spot to finish 5th, advancing 18 positions during the 40 lapper. Three cautions slowed the event. Co-Promoter Billy Thomas and crew had the track surface in excellent condition for the track’s 40th Anniversary season opening event and had made some changes in re-shaping the turns as well. 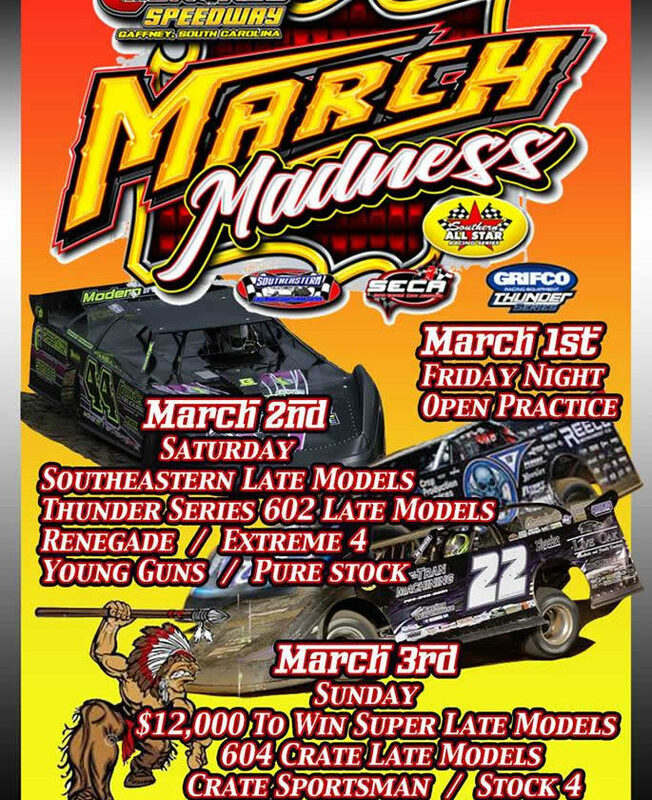 The Southern All Stars will be back in action this Saturday Night March 23rd at the Smoky Mountain Speedway in Maryville, TN paying $5,000 to win for the WIMZ-103.5 sponsored Rockin’ with the Stars event. The start times for this weekend have been adjusted and the driver’s meeting is set for 6:30 pm EST. 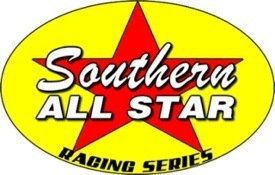 Further information on the Southern All Stars Dirt Racing Series can be obtained by calling General Manager Lynn Acklin at (256) 924-4546 or PR/Race Director Chris Tilley at (606) 219-1723 or you can log on to the official series website at www.sasdirt.com . Also, LIKE the Southern All Stars Dirt Racing Series on Facebook or be a FOLLOWER on Twitter @SASDIRT.